We have finally acquired a space for our toy library. Beginning with our toy lending events on August 18th and August 20th, we will now be at Richfield Lutheran Church, 8 W 60th Street, Minneapolis. Our entrance is on 60th and closest to Nicollet. We will have signs on the door. There is a parking lot across the street for the church that you can use. The room is down one flight of stairs (you can leave your strollers in the entryway or carry them down). The room is spacious and carpeted. Our intention is that your child(ren) will feel comfortable to explore the space. This is a picture from the room, looking up our stairs The side of the stairs will eventually be cleared out. Here are some pictures of the day we moved in. We were lucky enough to have the youth group help us move and organize the toys. After a couple more days of work, it should be cleared out and ready to go! Toys on the shelf and organized! If you’re interested in becoming a member, please check out our membership page for more information. We can fill out your membership form at the event. We look forward to seeing you! What does FM – 11 even mean? I am very excited to share with you a post from my dear friend, Erin Buhr who is a blogger on her site Bambini Travel. She always inspires me with her posts about meaningful activities with kids, kids books, and places to visit. It’s my go to site for ideas for my kids. One of her posts is about rotating toys and why it’s important. Enjoy! 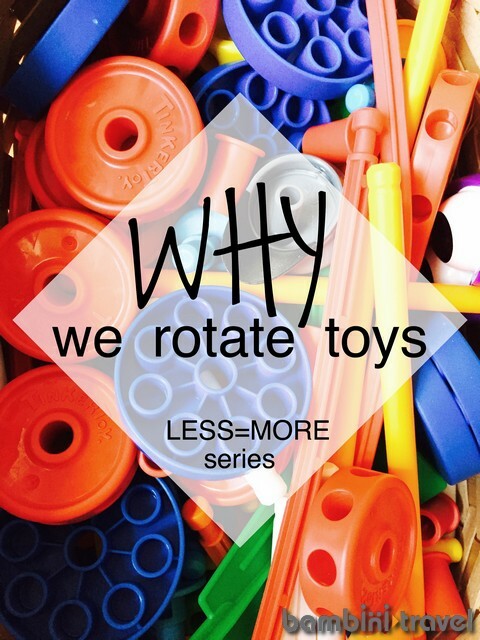 Do you rotate your child’s toys? 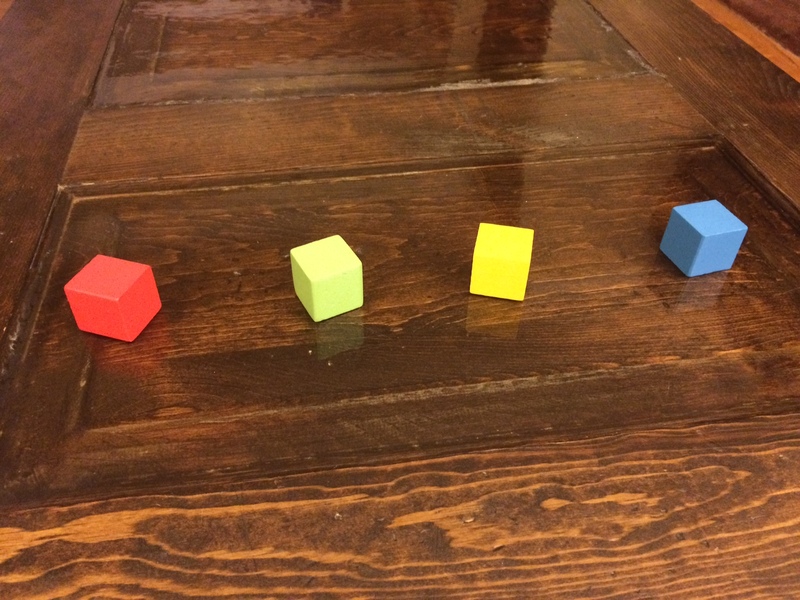 Many teachers and parents do not, but after 10+ years working with toddlers and preschoolers and 3 years with my twins at home, I feel confident in saying it is one of the most important parts of encouraging play. Today let me share with you my WHY. When you look at your playroom or classroom, what do you see? Do toys cover the floor? Are there broken or missing pieces? Are the children sitting and playing with toys or are they running around in circles? Worse yet, do they claim to be bored amongst a pile of toys? If they are happily playing and engaged, congrats! Go sip a cup of tea. If not, the problem is likely too many toys. I know it doesn’t make much sense at first. Having more toys seems like a good thing. More options right? But there is such a thing as too many. In a playroom or classroom with too many toys children are overwhelmed. *There is too much sensory input. Too much for their eyes to see and process. *There are too many choices. Where to start? *There is often not enough space to sit and play. *There are toys with missing or broken pieces that you can’t actually use. Children in this situation either run from thing to thing leaving toys in their wake or they do not engage with anything. Climbing on tables is often a fun alternative choice. Neither is ideal. The secret? Rotate your toys! The first step is to purge your toys. You should absolutely start by clearing out all the toys that are broken, missing pieces, or not age appropriate. Once you are done, you will likely still have too many toys. The next steps are setting up a system for rotating toys. As a bonus, not only will reducing the number of toys lengthen engaged play, improve social interactions, and increase imaginative play, but now you also have extra toys. *Changing the environment with new materials to prevent boredom. *Sparking new interests. 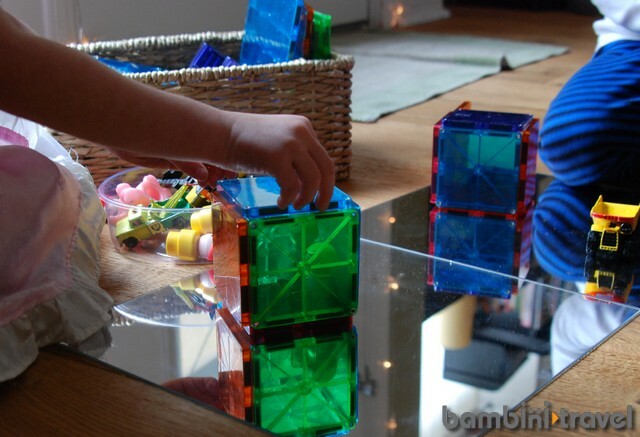 Put out new materials or a different combination of materials and see what your child comes up with on their own. *Supporting ideas throughout the year. When your child suddenly becomes interested in fish or the circus, you can support that interest by bringing out different materials. Do I have you convinced? If not, please let me know what lingering doubts remain for you. If I do, clear a couple of closet shelves, find some bins, and put some toys away. Erin Buhr is a freelance writer, mama to twin four year olds, and educator. Currently, she is adjusting to life as a midwesterner in the deep south. 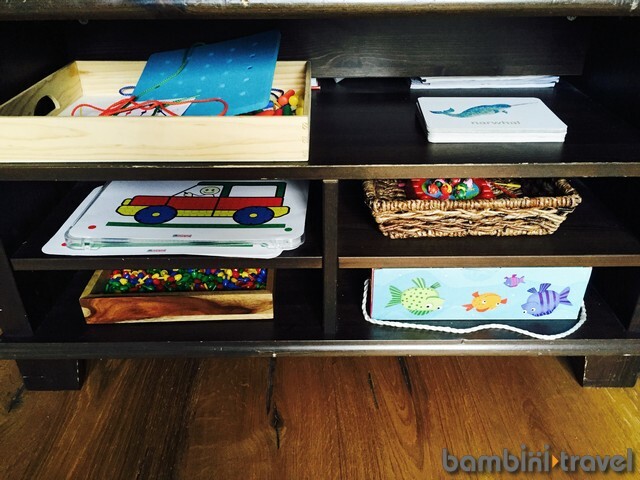 She shares play ideas, family travel tips, and favorite books on her blog Bambini Travel. At the MTL, we’ve been so lucky to be received by the community with such enthusiasm. Here are a couple of links to the press coverage. Thank you to those who have featured us in their publications! Are you interested in featuring a story or featuring the Minneapolis Toy Library? 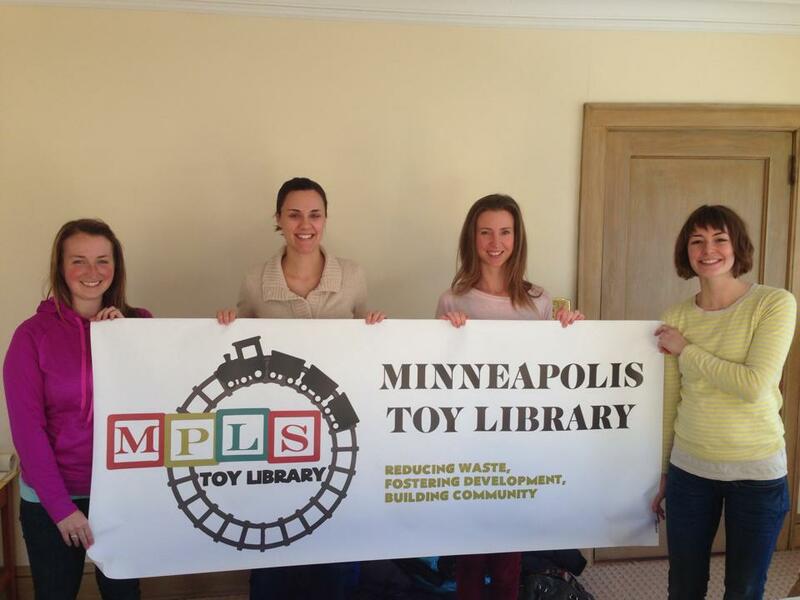 Contact us: mplstoylibrary@gmail.com or attend one of our upcoming events! Thank you to all who have joined us during our “trial” summer period! We have had so much fun getting to know each family and look forward to seeing parents and their children at each event. We wanted to share a couple updates with you as we move into the fall and officially launch the Minneapolis Toy Library. First, we’re always seeking new members so please share your experience as a member of the lending library with your friends. Second, we’re expanding our locations. Please keep an eye on our Facebook Page for the most updated information on where and when the next event will be held. We’ll also be adding more toys in the near future and as always welcome donations at any of our lending events or can be contacted for a pick-up/drop-off arrangement. Thirdly, if you’ve attended an event and considered volunteering with us, we’d love to have your support. Shifts can be anywhere from 30 minutes to 2 hours, depending on your availability. 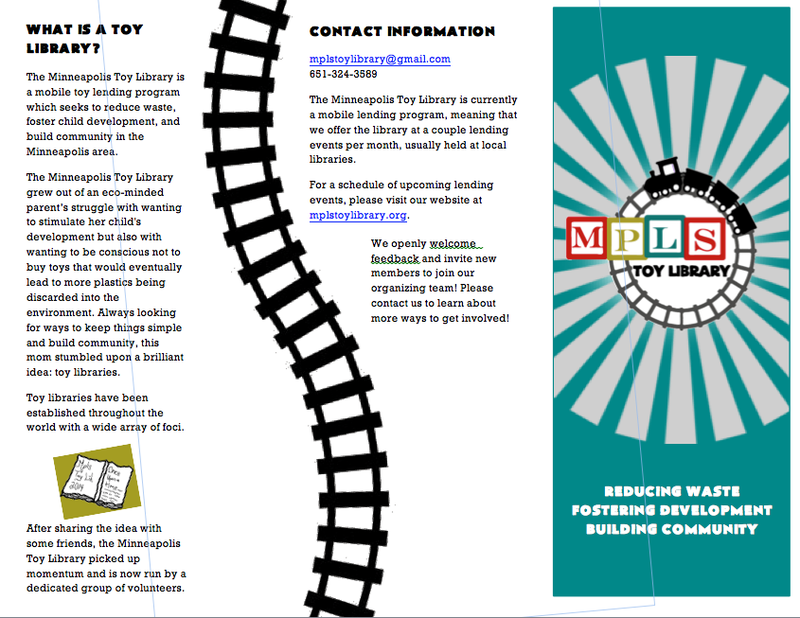 Send an email to mplstoylibrary@gmail.com for more information on how to get involved. Finally as we officially launch the membership dues will be $20 for a full year. If you signed on at $10 rate, you’re grandfathered in until your six month trial has been completed at which point, you can decide to stay a member for an additional $10 or decline renewing your membership. If the donation fees present an obstacle for your family, please let us know and we will definitely work with you. Part of our mission is to remove economic barriers for families to access toys that help children’s healthy development through play. As our membership has grown over the summer, some may not be familiar with our organization. Currently, we’re a small group of volunteers that have come together over common values of building community, reducing waste, and allowing children regardless of socioeconomic status to have access to high-quality toys. More to come in the near future – thank you for all your support over the summer as we’ve ironed out the details and truly made the Toy Library dream a reality.